UEFA president Aleksander Ceferin had been keen for Spain to be represented on the Executive Committee and, in 2018, invited Juan Luis Larrea to stand and present his own candidacy. 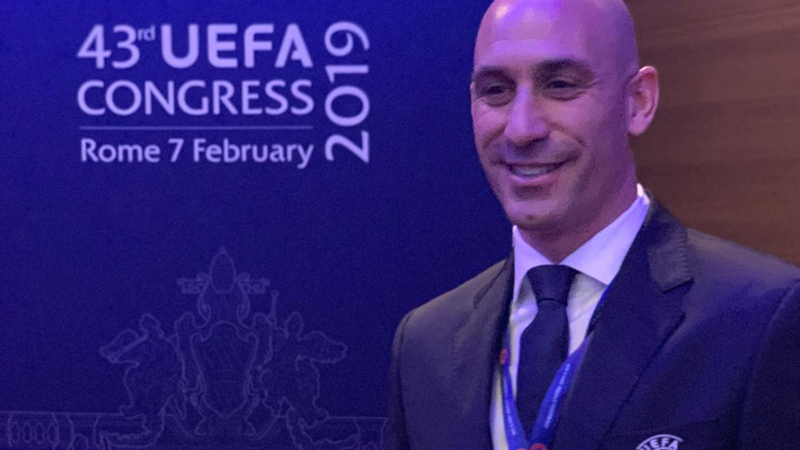 However, when Larrea left his post with the RFEF, the position went towards the newly elected Rubiales. “I’m happy, because I represent the RFEF and that I’ve received 90% of the votes in Europe,” he explained in a press conference after the UEFA congress in Rome. “The fact that Europe believes Spain can contribute things is an important step. The RFEF will receive 160,000 euros as a result of being part of the Executive Committee, whilst Davor Suker, Fernando Gomes and Sandor Csandy were all elected to represent Croatia, Portugal and Hungary respectively. Florence Hardouin was chosen as the women’s football representative for the UEFA EXCO, whilst Nasser Al-Khelaifi was voted to represent European clubs on the committee.